British teenager Scarlett Keeling’s mother Fiona Mackeown has written a letter to Prime Minister Narendra Modi requesting his intervention in the case of death of her daughter in Goa and has sought reinvestigation by setting up a Special Investigation Team. 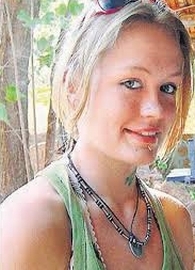 “The local fishermen informed me (then that) she was murdered by a drug mafia in Goa, but as this drug mafia had strong connections with local police and politicians, it would be pointless for me to approach the criminal justice system,” Fiona said in the letter to the PM, which she made public during a press conference on Thursday. “Up to now, I refused to believe that the local fishermen were right, and placed my trust in the system,” the mother said seeking PM’s intervention in the matter. which attracted international attention, besides raising questions on the safety of women in this world renowned tourist destination. Two men -- Samson D’Souza and Placido Carvalho – were chargesheeted by CBI in the case. The duo were accused of leaving the girl to die on the beach after drugging and sexually abusing her.